First off let me say that there are people in this world that do need medication, and lots of it. I know because I work in a town that apparently is the dumping ground for these people. Now I will admit that life isn’t the easiest thing to deal with, but who in the Hell decided everyone needed to be medicated to deal with it? Your child shouldn’t need to be on Ritalin and you on Prozac to deal with each other. When did it become wrong for a child to act their age? 90% of the problems in school are because the kids are acting their age. Boys in general like to be disruptive and cause trouble and it shouldn’t be rocket science to figure out that an eight year old might just act like an eight year old. I’m not really sure whom to blame on this because there is one problem here but on two fronts. Many troubled children are lacking discipline. Slapping and spanking aren’t discipline, but teaching respect is. Whatever happened to discipline in schools? I haven’t seen it at all lately, and many of these “troubled” kids lack it at home. The unfortunate fact of one-parent households puts a very strong burden on your child. Instead of a daddy, your child now has Nickelodeon and the Cartoon Network to turn to. I have no problem with television, but not a steady 10-hour dose a day of it. Back on the school front, the one thing we need back is discipline. Keeping a child inside for recess is not a punishment. The paddle needs to be hung back on the wall. Children these days know there really isn’t anything that the teacher can do to them and there is no need for respect there; and with no respect comes no control. The system has once again screwed itself by trying to be oh so politically correct. Now instead of flexing their people skills, teachers are claiming that the majority of these kids (mostly boys) have ADD, ADHD, or whatever other behavioral disorders they have just discovered. I know people who on the third day of school have been called to talk about their child’s’ behavior in class. Here’s how this conversation goes. Is your child on medication? Have you ever considered putting your child on medication? Your child should see this doctor; he’s good with behavioral problems (unless you want to be harassed daily about the things your child does). Now let’s look at what the child is doing. Talking out of turn, not paying attention, or not listening at all. When I was in school this person was usually the class clown, and our teacher would actually make an attempt to win this child’s attention, and usually did. If they aren’t the class clown, then maybe they are just bored; maybe as a teacher you are not meeting them with a challenge. Maybe you are not presenting yourself as an authority figure. Teachers are still teaching like they did back when I was in school. They need to realize that they are now in direct competition with Nintendo and the Cartoon Network. Most eight-year-old boys can name all the Pokemon, but probably don’t know the Presidents name. Just realize one thing, you are a teacher, not a doctor; and you have no right to even suggest a child be medicated. Most teachers nowadays are young bucks that have no children of their own and have no clue how to deal with them. Maybe when you are going to school learning how to teach, they should have a few courses how to deal with the children of today. What is DARE? What does that stand for anyway? DEXEDRINE AND RITALIN for EVERYONE? We launch this tremendous anti-drug campaign to educate our children to the dangers drugs. The schools bring in cops to give lectures and presentations about how bad these drugs are, and how they should say no. Did the officer happen to tell your child that the Ritalin he had to take to be allowed to come to class is in the same family as the BAD cocaine he has been lecturing about? 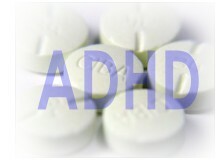 But I suppose Ritalin is different because now he isn’t fidgeting; or talking; or asking questions – or learning. But he is quiet, and that’s the desired effect. Why do we think that just because the drug seems to have a calming effect on the child, that it is the right thing to take. I know a few people that take Ephedrine because it helps them stay awake and aware, is that the right way to go? I don’t think so, it’s just that we know a few more of the adverse effects of the drug. The scary part about Ritalin and most the other behavioral drugs is that no one really seems to know how they work. The scarier part is that they don’t really work at all. It doesn’t fix the problem; it just covers it up. You are covering up the effect, and totally ignoring the cause. It’s like cough syrup. If you have a cough then you take some cough syrup. Your cough goes away, roughly for about five hours, until the medicine wears off. Know what happens then? You’re coughing again. You didn’t cure a damn thing; you just covered up a symptom. I think if teachers really cared about the future and education of their students, they would take the time to teach them, not try to cover up their problems until they can get them out of their class. Respect and discipline are the only things that are really going to help cure this growing problem. Parents need to take a stand for the rights and the health of their children. Respect applies to home life also. When I was young, I knew the difference between right and wrong, and if I tested the limits, I learned my lesson. I was never beaten as a child; I was disciplined, probably only physically four times. Unfortunately we have all these people claiming they are for the rights of children, but in reality they are the ones that over the last 15 – 20 years have taken your rights as a parent away. You have lost the right to discipline your own child in your own home. In case you don’t believe me, then the next time you’re in a store and your child is acting up, slap them, hell, even raise your voice at them and there will be more than enough idiots with their cell phones ready to call up Social Services. Tell them to take their Prozac and mind their own damn business. Now I will confess I am single and have no kids, so this is mostly my own thoughts on the matter. Just to show you I’m not the only one that notices this, let me show you a letter a friend of mine wrote to a congressman about her son and what the school systems are putting her through. Hello, I have a situation that has been ongoing for 4 years now. My son is hyperactive. I fought medication only to have appointments with psychiatrists made for me. After a year of constant battles, I caved in. After being on Ritalin for approximately a year, with dosage changes here and there, my son was a 48lb., non sleeping 7 year old who was sure that he was hearing voices. After taking him off of it, I have been to countless meetings with teachers, seen the shame and ridicule that my son has been put through, heard of how he would rather be dead, and yes many, many more psychiatrist visits. I was told that my son could only go to school until 10:00 in the morning and that this would continue until I decided to put him back on medication of some kind. I pulled him and put him in Catholic school. This year, there is a new grade and yes, a new teacher. A brand new teacher, who, like most have been schooled in the fact that if they don’t sit still, they need medication. This is the 5th day of school and I have already been scheduled for a meeting and been told “that she has to spend entirely way too much time with my son.” I feel he is worth that time. Regardless, I don’t think there will ever be a solution other than to quit work and home school the child. At least for a couple of years. This would be financially devastating to my family. I looked around and I could not find any funding available for this kind of thing. Is there? When a child’s situation comes to the point that I am at, and as many avenues have been taken to fix the situation to no avail, shouldn’t then the child be given special consideration for some kind of one on one program? We did talk about special ed. during my time with the public school system. Between the evaluation process, and the waiting line to get into the program, the child would have only been in class from 8:30 am to 10:00 am for 3 – 5 months. I decided that it was too much for him to miss or I would have taken that route. I was also informed that if he continued to get up and walk around and fidget at that point, that they would cut his day in 1/2 there also. When I brought up the fact that my son has a right to an education, allegations suddenly appeared about the conduct of my child, which after bringing it to the attention of the school psychologist, was deleted from his records. After that it would be hard to trust the school system anyway. I don’t want to fight anymore. It is only my son who has to stand in front of all the other kids and made fun of because he won’t sit still. I don’t want him to feel that because I chose to preserve his physical health, his mental state has to be pushed to its limits over sitting still. What do I do?